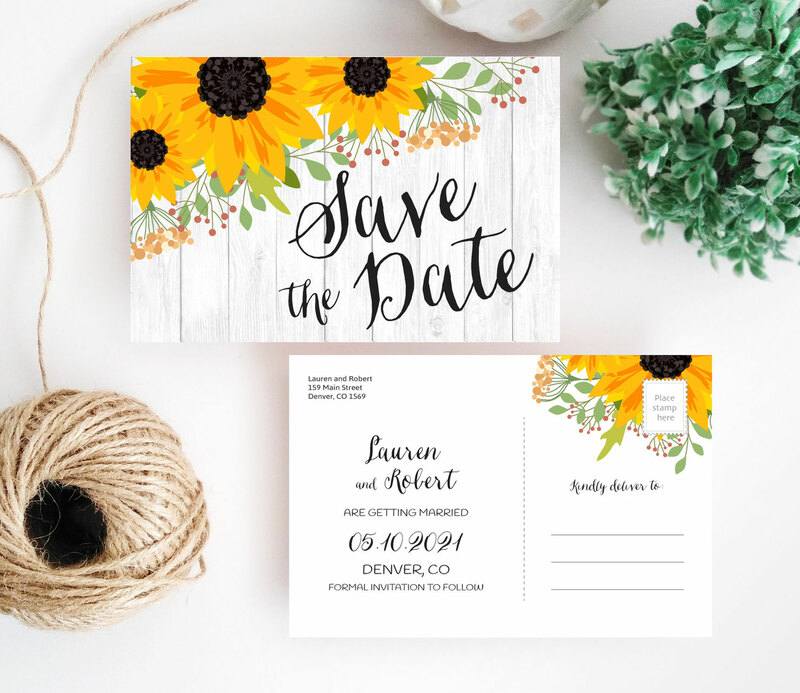 Your wedding date is finally set! 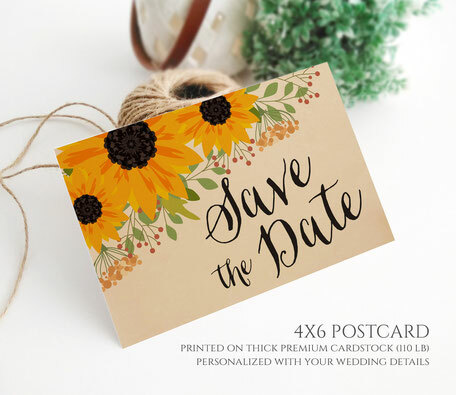 Now let your close friends and family know all about it with our Rustic Save the Date Postcards. 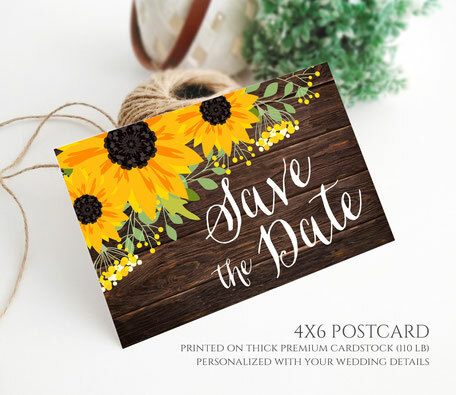 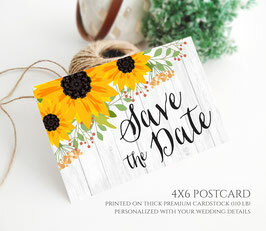 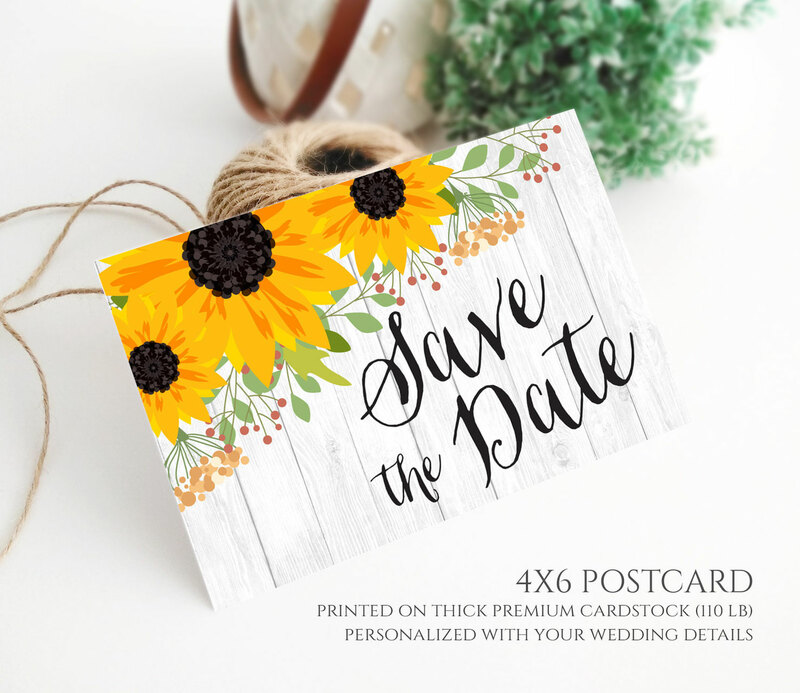 Ideal for a country inspired wedding, our cards are decorated with a beautiful yellow sunflowers.